Beat (Homepage) wrote: this is superb...a real fantastic wallhanger. very well done! oldshutterhand (Homepage) wrote: Wow! Great moment..
Marcie (Homepage) wrote: Amazing how you captured them suspended at exactly the right moment..so perfectly framed. Excellent! 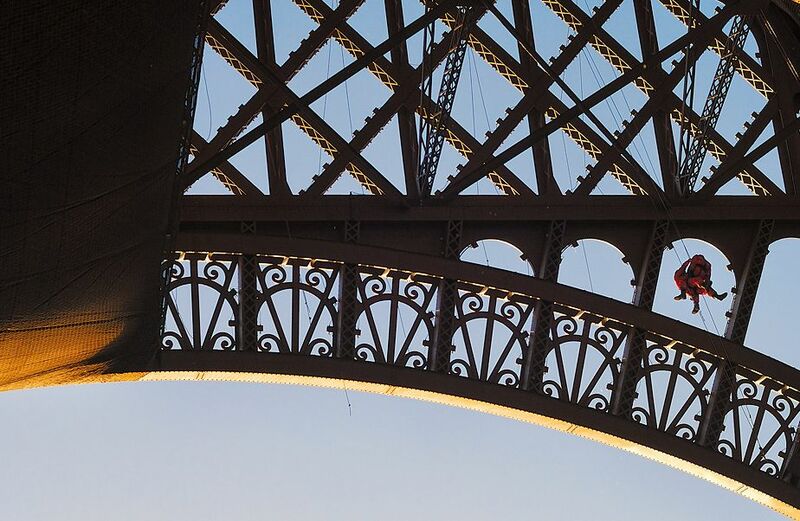 Andrés (Homepage) wrote: A great image of La Tour Eiffel. Excellent shot of the two guys in the harnesses.